Coffee is the most popular drink all over the world. In Vietnam, however, previously people have not drinking coffee interest as much as nowadays. Up to now, you can see coffee shops everywhere and each coffee shop has a different taste. 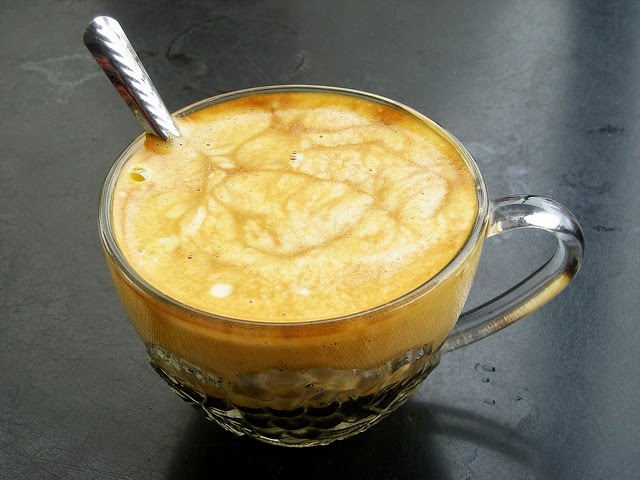 One of amazing taste of coffee is Vietnamese egg coffee. The name is quite new and weird to some people, but CNN (2011) put this taste into the Best Vietnamese Food. For the long time, the most famous coffee in Vietnam is coffee planted and harvested in High Central of Vietnam attached the brand name "Buon Me Thuot Coffee". Enjoying Buon Me Thuot coffee, we seem to feel the air, the sunlight and the style of high land. 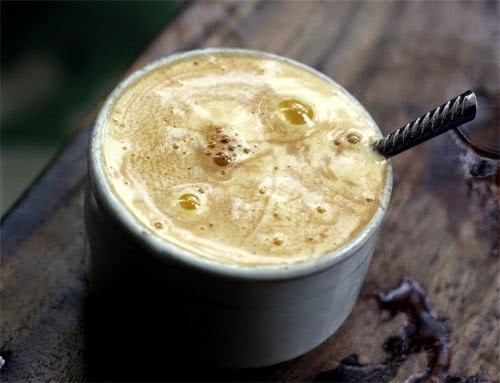 Gradually, coffee is becoming popular across the country and now also becomes a culture that makes a unique feature of Vietnamese coffee drinking. 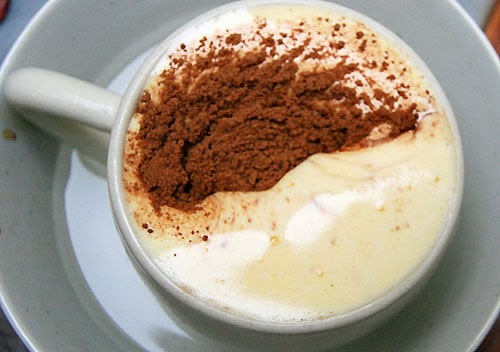 I have not many chance to taste all kinds of coffee over country, but among those tasted, I must say that the most impressive and unforgettable flavor of coffee is egg coffee at Giang cafe in Ha noi. I am not a gastronome and particularly not a coffee addict. However, once I went to Giang cafe with my sister, egg coffee absolutely beat my taste for the first time. That is a cold winter day and enjoying something hot, scented, rather bitter, rather sweet of milk like the Best Vietnamese Food was truly interesting. My spirit was so comfortable following the rhythm of the Trinh music. It is the best drink that I ever tasted in my life. Giang cafe is not too luxury, it brings us some feel of warm, hospitality that 100% visitor come back after the first time. 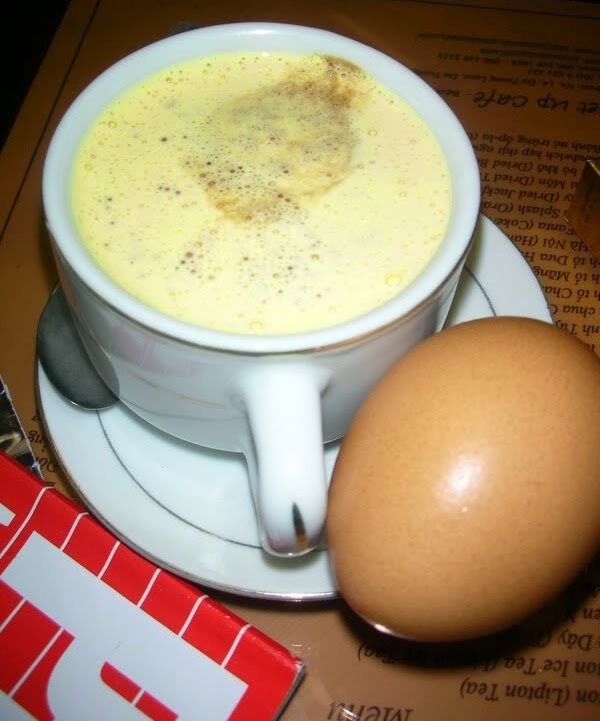 Come and enjoy the egg coffee which is one of Best Vietnamese Food there. Hope you have an amazing trip in Vietnam, and do not miss a chance to taste this delicious dessert. Good Luck to you.